I bought this sourdough starter from KAF months ago, but never took the time to feed it. I had no idea the work that goes into keeping a starter alive…I hope it is worth all the effort! It seems that the yeasty-buggers survived the long wait for me to feed it, because it bubbled like crazy. I even made the mistake of letting it sit out for twice the amount of time and then feeding it double the amount of flour and water, but it seems alive and well. It’s been sitting in the fridge growing and shrinking – its weird stuff. This whole process is a first for me, and I don’t even know if I will like the flavor of a sourdough pancake…cause I’ve never had one! Verdict: According to M, these were “okay, but I wouldn’t request them again.” I have to agree, I was not impressed with these – which stinks, because now I have to find other uses for this sourdough starter that I have. I could make sourdough bread occasionally, but I would still have to feed the starter every two weeks. We love this recipe for pancakes, and the sourdough is just a completely different “animal” – literally! We’re so used to the sweeter batter and we both found out we’re not sourdough pancake people. Even though it didn’t work out, I’m glad that I tried something new. Thanks for reading! 1. To make the overnight sponge, stir down your refrigerated starter, and remove 1 cup. 2. In a large mixing bowl, stir together the 1 cup starter, flour, sugar, and buttermilk. 3. Cover and let rest at room temperature overnight. 4. In a small bowl, beat together the eggs, and oil or butter. Add the overnight sponge. 5. Add the salt and baking soda, stir to combine. The batter will bubble. 6. Pour batter by 1/3 cupfuls onto griddle, spacing 2 inches apart. Cook until bubbles break on surface, about 3 minutes. Turn pancakes over. Cook until bottoms are golden, 3 minutes. Transfer to plates. Repeat with remaining batter. 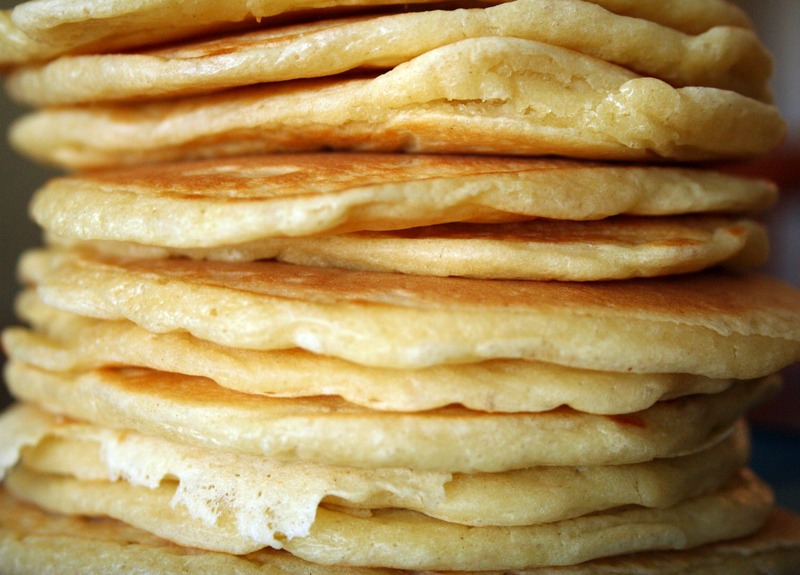 Serve pancakes immediately with butter and syrup. Enjoy!